Introduction. Public Service Media (PSM) in Europe have had to adapt to new scenarios where the Internet is the main platform to inform, communicate and disseminate content to their audiences. Objectives and methodology. We examined websites of Public Service Media organisations in Europe, taking into account the following parameters: positioning, engagement, origin of the audience and device for access. Results. In most cases, time spent by users on sites is limited, the bounce rate is high, users are national and the most frequently used access devices to web contents are mobile. Discussion and conclusions. In some cases, results show that websites belonging to European public broadcasters are not meeting users’ expectations. It is key that operators consider developing more efficient online services when designing their business strategies, as this will inevitably result in greater and better usage of their websites by users. European public broadcasters; European Union; Internet; websites. 1. Introduction. 2. Literature review. 2.1. Public Service Media in the online arena. 2.2. Public Service Media in Europe. 3. Objectives and methodology. 4. Results. 5. Discussion and conclusions. 6. References. We find ourselves before a context of media convergence, network’s globalization, multi-platform contents and the consolidation of a communication model “from many to many” (Roel, 2010). These factors have boosted the need for broadcasters to adapt to multi-channel and multi-screen scenarios (Jenkins & Lazcano 2008). The Internet, after overcoming a stage characterised by confusion and fear to the new media, has been consolidated as a relevant ally for broadcasting channels (Cham & Ha, 2003). In parallel, websites  have entered strongly in the sector, to the point of becoming essential platforms in communication strategies. Websites provide interactivity between organisations and the audience, and thus contribute to improve dissemination and promotion of contents from traditional formats. As regards Public Service Media organisations, due to their essential role in promoting democratic societies (Dahlgren, 2007), the adaptation to digital environments delivers increasingly higher value to their development of a public service. Within this context, PSM in Europe are the case of study and, after analysing their official websites, the research determines their situation as far as the following parameters: positioning, engagement, audience’s origin and access device. Fragmentation of supply and demand, new ways of consumption, alteration of funding systems and new business models in the audiovisual sector are the result of the economic and technological changes in the environment (Campos, 2013). In this regard, technology has meant an important leap from traditional media to the digital ones, a momentum that has improved and expanded the offer for the audience, a feedback loop between the user and the media (Debrett, 2009). The Internet has become, therefore, a tool for communicating and transferring information between organisations and users (Buhalis, 1998; Obercom, 2014). As a consequence of Internet penetration among broadcasters, traditional models of one-way communication have given way to a participative model, characterised by a more active role of audiences. The path followed by the Internet to become an unstoppable phenomenon has been, in years, much shorter than any traditional media. Broadcasters have accepted the challenge of the network and have adopted mechanisms to encourage audience participation, creating hybrid models of television and the Internet (Vinader & De la Cuadra, 2012). Far from the initially expected, the Internet does not cause a drop in the audience of conventional television, but results in an addition thanks to the positive correlation between both consumptions (Meso & Larrondo, 2010). Within this context, when assessing the offer (television) and the demand (user/audience) as parties involved in the communication process of broadcasters, it is seen that users, when consuming television in a digital environment, look for specific news and entertainment contents. That is why they pay greater attention (García, Galán & García, 2015). According to Ortuzar (2007), the spectator has become the centre of the TV universe, due both to their possibilities to participate and to the increasing options they have. In consequence, broadcasters have had to adopt different strategies to distribute contents, in order to meet and increasingly exigent demand. Live users on television are being lost, while on-demand users on the Internet are increasing, which has favoured the rise in on-demand services (Anton & Guallar, 2014). It is at this point that we can see that the rapid development of ICTs, mainly the advance of the Internet, has led to multiple changes for companies and users in the broadcasting arena (Díaz, Consuegra & Esteban, 2008). Broadcasters’ websites have become essential marketing tools (Okazaki, 2005), as they are instruments able to provide competitive advantages, to carry out real-time transactions, to facilitate two-way communication and access to target groups, to improve competitiveness of companies, to create new opportunities to reduce costs and, thereby, to make communication more effective (Xing & Grandt, 2006). The existence of broadcasting portals on the Internet has made it easy for the audience to access contents whenever and wherever they want, in a non-sequential and more active way (Anton & Guallar, 2014). This is why it is important to ensure web quality and their informative vocation (Mendiguren, 2010). By extrapolating technological changes produced in the scenario affecting public broadcasting services, it should be noted that they are facing two important transformations. First, the distribution channel, which is expanded and diversified by adding new channels and platforms (Enli, 2008). Second, consumption patterns, the audience, who was passive in their beginnings, has now become an interactive part of the communication process with their corresponding media (Meso, Agirreazkuenaga & Larrondo, 2015). According to Enli (2008), strategies to adapt the offer of PSM to new audiences should combine “tradition and innovation”, without ignoring the shared mission and remit. To take advantage of Internet’s potential, public broadcasting services need efficient websites to improve their communication. Among the available variables to achieve this goal, are interactivity and usability (Kaplanidou &Vogt, 2006; Ha & Love, 2005). However, according to Gómez (2016), web platforms are adapted to an audience profile as “consumer”, so they are lacking in users’ interactivity. This is due to the limited creation of communities, as well as the existence of a direct communication between users in the web. That shows that much remains to be done. Before talking about the European case, it is important to highlight that, as the 1990s moved on, the TV sector reached a turning point due to the shift from analogical to digital broadcasting (Bustamante, 1999). In Europe, audiovisual trends, influenced by the economic and financial crisis that started in 2007 and by the technological convergence, have resulted in a restructuring of public broadcasters, as well as a concentration of providers for digital services by analog TV, cable and satellite (Campos, 2013). Nevertheless, prospects point to the future of the IPTV (Internet Protocol Television) and to the shift from terrestrial radio waves to mobile communications at the expense of television (Campos, 2013). In the digital era, elements such as the adaptation to convergence, the revaluation of the social dimension of public service provision (Campos, 2016), and the commitment to a greater credibility as regards contents, are some of the essential elements that PSM have to value in order to guarantee their survival, as the future trend is towards pay-TV. At this juncture, Bustamante & García (2017) mention the existence of voices in favour of the relevance of PSM in the digital era (Lowe & Yamamoto, 2016), as well as critical voices as regards the way in which Europe is developing its digital expansion (Brevini, 2013). At this point, and in order to better understand the reasons-why, PSM are still essential in the digital era, we should first understand their remit, mission, goals, values and roles. Their mission is safeguarding cohesion against hyper-fragmentation, providing a sense of identity and cultural diversity to national communications and seeking to combine diversity with universality of access to contents (Campos, 2016). Among the goals of public service broadcasters are: the universal and maintained access; the promotion of culture, native languages, arts, education and knowledge; the promotion of pluralism, equality and interculturality; the offer of generalist programming for majorities and the attention to minorities; the independence and information quality; the diversity of genres and formats; the emphasis on the quality of information; the exemplariness in the performance of public-service missions; the democratic and efficient management; the construction of a public space and the innovation (Miguel, Zallo & Casado, 2017). According to the mission and established objectives, the six PSM core values established by the European Broadcasting Union (EBU, 2014) are: universality of access, independence, diversity, innovation, excellence and accountability. Finally, the tasks of European PSM are structured around democratic guarantees, the political role, the communication and cultural role, the identity role, the educational and training role, and innovation (Table 1). Pluralism and programming diversity for all social groups. Promotion of integration of migrants. Debates, discussion spaces on specific economic, social and political issues. Promotion of accurate, objective and near information. Promotion of creativity (new aesthetics). Regional broadcasting shall occupy a space within the communication system of the region. Promotion of ethical and citizens’ values: sustainability, cooperation, solidarity. PSM should be not only use existing technologies, but also be proactive in the use, looking for new functions, such as the participation of the civil society. New TV formats (cross, transmedia). Organisational innovation. In a moment of convergence, it is logic to break with the traditional division between departments of radio, television and the Internet. New informative approaches: 360 journalism, etc. Source: Prepared by authors from Miguel, Zallo & Casado (2017). The performance of these functions should be structured around governance, which should promote transparency, a sound and stable funding, and a distinguished programming (Miguel, Zallo & Casado, 2017). In this regard, PSM in Europe are immerse in a global, convergent and changing ecosystem of media, technologies, distribution systems and new forms of accessing and consuming audiovisual contents (Campos, 2016). The use of innovation is presented as a relevant strategy for the following authors  (Steemers, 2003; Van Dijck & Poell, 2014; Dondeers &Van den Bulck, 2014 y Glowacki & Jackson, 2016), cited in Campos (2016), with the aim of revitalising and boosting the image of Public Service Media organisations. This way, European public service broadcasters are facing a great challenge: to adapt themselves to a new changing scenario in order to strengthen their positioning. In this regard, it is important to maintain traditional audiences and to try to get new spectators other platforms, strategies and narratives, where the demand of content consumption tends more towards experience (Campos, 2016). The goal of the research consists on analysing the official websites of the EU-28 Public Service Media organisations, with the exception of Luxembourg, which does not have such a service. The analysis was carried out using SimilarWeb , an online tool for knowing the most relevant data of a specific Internet site as regards positioning, audience and traffic. The tool has been previously used by authors such as Túñez & Costa (2017) for the assessment of online communication and web traffic of some public broadcasters in Europe. The fieldwork consisted on tracking for three consecutive months, namely since September 1, 2017 to December 1, 2017, in order to not generate distortions associated to discontinuity. The fixed photo that projects the state-of-the-art of PSM’s websites is captured assessing four parameters and their associated variables (Figure 1), in order to achieve the goal of the research. 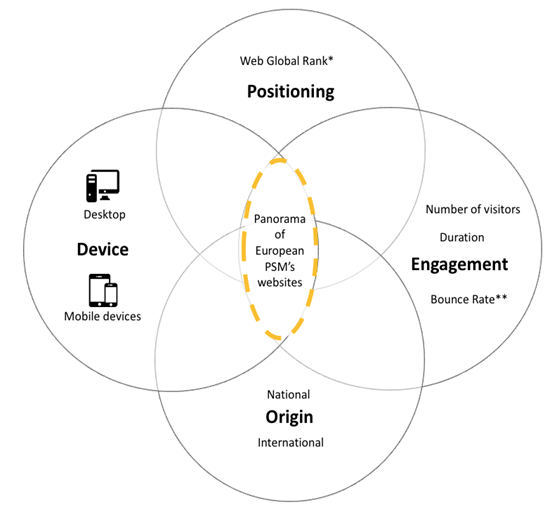 The analysis covers the positioning of websites (using the value Web Global Rank), their engagement (using the number of visits, duration and bounce rate), origin (national and international), and access devices (desktop and other mobile devices). * Web Global Rank is a relation of websites, worldwide, ranked by traffic. ** Percentage of visitors who enter the site and then leave rather than continuing to view more pages within the same site. The results are organised based on the analysed parameters and variables: positioning, engagement, origin of the user, and access devices. First, it is assessed the positioning of PSM’s websites at the Web Global Rank (WGR) on a global basis. The parameter is a relation of sites worldwide, ranked by traffic volume. Figure 2 shows the position of European PSM’s sites arranged by quartiles. Q1, Q2 and Q3 contain the positioning of the 24 best positioned PSM, and every quartile includes the information on 8 broadcasters. On the other hand, Q4 refers to the data from the six remaining EU’s broadcasters. It is important to note that, although they are no visible, quartiles (data set up in four parts equally divided) have the positioning of all websites in the world, of any category, not only broadcasters. Figure 2: Position of European PSM at the Web Global Rank at international level, arranged by quartiles. Based on the above mentioned, the BBC achieves the best position of all analysed broadcasters, as it is 163th in the world ranking. The remaining EU’ public broadcasters occupy a lower position in the ranking, being the most notable differences in Q1, between the BBC and the ORF, which are 163th and 1,466 respectively, and in Q4 between the LRT and the BRF, placed in positions 37,732 and 666,527. The second parameter analysed is the engagement, which provides information on the commitment between the website and the visitor. Three variables are taken into account in this regard: total number of visitors, duration of visits –time spent on the website by the user-, and the bounce rate (percentage of visitors who enter the site and then leave rather than continuing to view more pages within the same site). It is important to remind that the data showed in the study reflect the evolution of variables during three months. 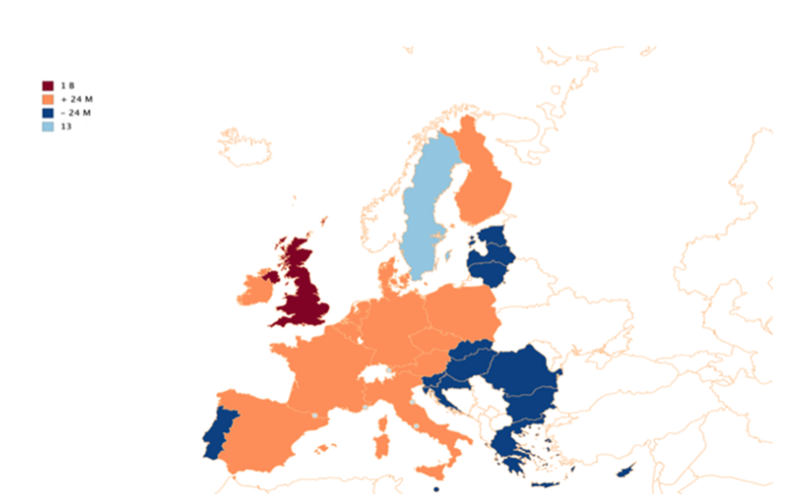 Figure 3 shows the number of visitors of the websites from Public Service Media in Europe. The BBC stands out again from the rest of broadcasters, as its website, during the 3-month analysis, had more than a trillion visits (1,332.163.500). On the other side, it is the Swedish SVT (13,300 visits), the lowest figure of all analysed cases. Between both extremes, the median has been calculated: 24 million visits. Based upon the foregoing, the map of Figure 3 is divided into two halves. First one, the orange-coloured reflects the 50% of countries exceeding the median, located in the Western and Central Europe, except from Finland and Ireland, which belong to Northern Europe. 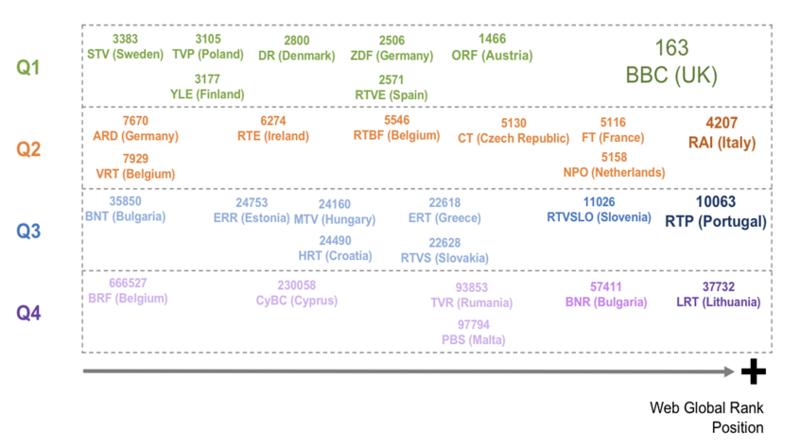 In this first case, the Austrian ORF stands out with the highest data (121,095.400), followed by the German ZDF (104,640.200) and the Spanish RTVE (93,647.600) among others. The second half, corresponding to the 50% of countries with less than 24 million visitors, is represented in dark blue. Apart from Portugal, countries belonging to this group are located in Eastern Europe. Regarding to engagement, another variable to analyse is the duration of visits in each of the websites of European public broadcasters. It is important to highlight that the duration of visits reports, indirectly, on the interest of sites. A long-time of visitors spent surfing the web, implies that the web has a better structure and a more attractive content for the user. If we take a look to Figure 4, in relation to the time visitors spent on websites, the most striking data is presented by the RTVSLO of Slovenia, which reaches 23 minutes, well above the average of the other corporations. The Italian RAI and de Swedish STV also stand out in this variable with 8 and 7 minutes spent respectively. 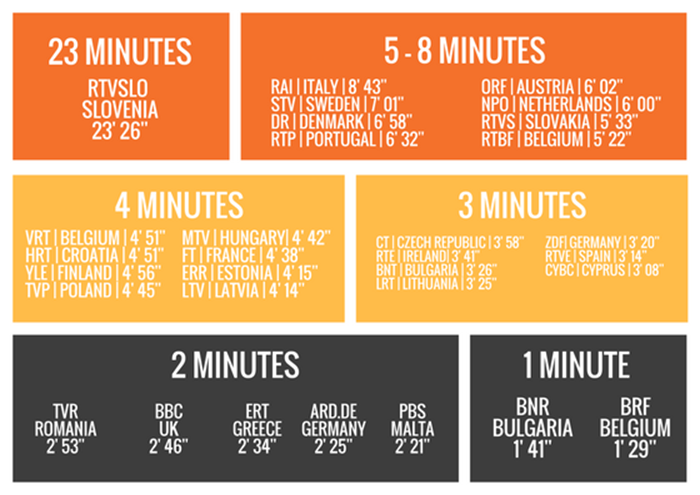 Lastly, the BNR of Bulgaria and the BRF of Belgium are represented with only 1 minute of time spent on their websites. It is interesting to observe that the BBC, the best positioned website on the Web Global Rank and with the highest number of visits (Figure 3),does not translate such relevance in time spent by visitors on its site (Figure 4). To complete the study of engagement, it is necessary to include the information related to the bounce rate. The data are shown as a percentage and assess the number of sessions in which the visitor enter the site and then leave rather than continuing to view more pages within the same site. In this way, if a website has a low bounce rate means that the content is in line with what the user needs and the structure of the site invites the visitor to keep consuming content and interacting. On the contrary, a bounce rate that is too high could indicate that the page is not meeting users’ expectations and that, therefore, the contents and/or navigation elements are unstructured. In this sense, it is worth mentioning that a high bounce rate does not necessarily mean that the user is unsatisfied. Sometimes, it can mean that they have quickly found what they needed; for instance, to check the TV schedule of a specific channel. As may be seen in Figure 5, most of the assessed corporations have a bounce rate around 40% and 50%. The RTVSLO stands out again, in this case due to the low bounce rate that, possibly, is related to the duration of the visit, analysed in Figure 4. On that occasion, it was verified that the Slovenian broadcaster had much more visits than its neighbours. Based on the foregoing, it is assumed that users of the RTVSLO find the website attractive. Users’ origin on European PSM’s websites (Figure 6) is other of the parameters that allow to know that performance of analysed corporations. 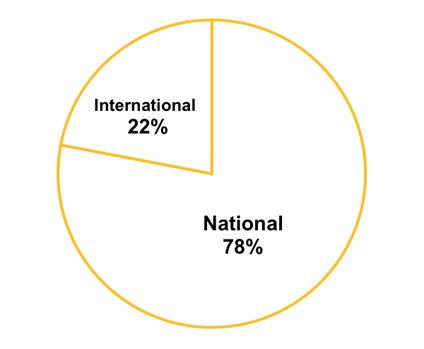 Based on the data collected, it is determined that 78% of visitors share nationality with the Public Service Media organisation, while 22% have a different nationality. 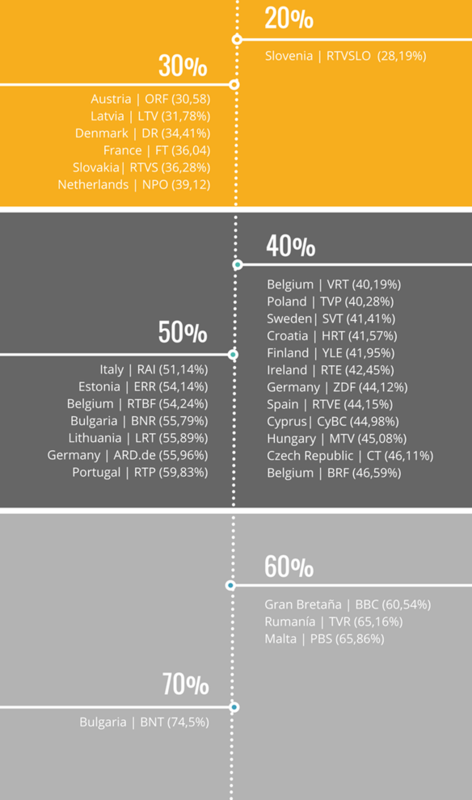 Among the corporations analysed, those with the highest percentage of national users are NPO Netherlands (92%), TVP Poland (91%), DR Denmark (90%) and SVT Sweden (90%). The opposite is represented by the BBC of Great Britain, whose users are mostly (93%) international and to a lesser extent (7%) national. The languge factor clearly plays an important role, as English is the main language worldwide, if we consider its diffusion. Thus, public broadcasters with their own languages that do not have high levels of diffusion at international level, will not have a potential surplus of international users. Figure 6: Origin of users of the websites from European PSM. In order to close the analysis of the functioning of websites from PSM in Europe, data on access devices are shown (Figure 7). 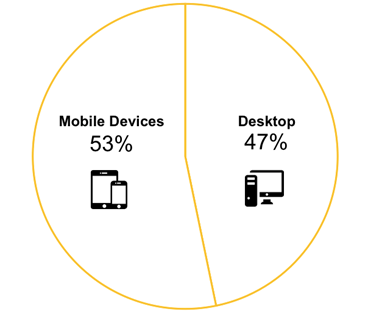 The general trend of content consumption through mobile devices breaks into the ecosystem of European public broadcasters, as 53% of users accesses websites through a smartphone and tablet. There are notable exceptions, as the Slovenian case, which reaches a higher percentage of access by desktop computer (85.30%). Despite the fact that these data are general and should be contextualised with penetration data of connection to the Internet and use of particular mobile technologies of each country, serve to observe a general upward trend of content consumption through mobile devices at European level. Figure 7: Access devices to websites of PSM in Europe. Public Service Media in Europe are suffering, as well as the other agents of the media ecosystem, the changes produced by the adoption of ICT by a hyper-connected and hyperactive society, who base their relation with the media on interactivity. This context has favoured the adaptation of PSM to digital environments. The access to the Internet and the penetration of the use of mobile devices for content consumption within the currently society has, on a global scale, set up a new profile of consumer that demands contents through multiple channels (traditional media, the websites, social networks, etc.) and multiple platforms (traditional TV, desktop, mobile devices, etc.). This way, the reconfiguration of the context has resulted in companies adapting their dissemination strategies to mixed formats. The websites of the analysed PSM compete globally, as it is usal, with the rest of sites of the net universe. In this sense, it is worth mentioning the good positioning of some of them, such as the English BBC, ranked 163th on the Web Global Rank. It is deserved to mention that more than half (16) of analysed websites (30) are placed among the top 8.000 in the world ranking, taking into account that these websites disseminate public service and national-oriented contents. In this context of fierce battle between content producers to gain attention of users in order to have more traffic and permanence, European Public Service Media show certain signs of weakening. Bounce rates are neither a kind of relief for a group of websites, as a general trend, that need to re-adapt themselves to uses and preferences of consumption from a digital and interactive perspective that advocate for usability as a cornerstone. All the more so as the general consumption trend through mobile devices is breaking into the public broadcasting ecosystem at European level, as the obtained data show that 53% of users’ access websites through their smartphone or tablet. This new, global, inter-connected world redistribute nationalities through their individuals in such a way that they are not only associated to geographical demarcations. Websites from European PSM must also address migrant audiences who demand national content from abroad. As it has been observed from this research, there are relevant percentages of communities that live outside their origin countries and that are eager of content that PSM produce and distribute. * Results of the research are part of the project Indicators related to broadcasters´ governance, funding, accountability, innovation, quality and public service applicable to Spain in the digital context (CSO2015-66543-P), belonging to the Spanish National Plan for Scientific and Technical Research and Innovation, a national subprogram of Knowledge Creation from the Spanish Ministry of Economy and Competitiveness. A Ortuzar (2007): “La televisión pública en la era digital”, en Transformaciones de la radio y la televisión en Europa, (Ed C Peñafiel Saiz). Vitoria: Servicio Editorial de la Universidad del País Vasco. Communication on State Aid to PSBs and its restraining effect on PSB online”. European Journal of Communication, 28(2), pp. 183-197. D Buhalis (1998): “Strategic use of information technologies in the tourism industry”. Tourism management, 19(5), pp. 409-421. E Bustamante (1999): La Televisión Económica: Financiación, Estrategias y Mercados. Barcelona: Gedisa. E Bustamante & MT García Leiva (2017): “La TDT de servicio público estatal y RTVE: balance y futuro”, en Televisión Abierta. Situación actual y Tendencias de futuro de la TDT. Madrid: Colegio Oficial de Ingenieros de Telecomunicación. EBU (2014): PSM Values Review: The tool. Ginebra: EBU Press. F Campos Freire (2013): “El futuro de la TV europea es híbrido, convergente y cada vez menos público”. Revista Latina de Comunicación Social, 68, pp. 89-118. F Campos Freire (2016): Situación actual y tendencias de la radiotelevisión pública en Europa. Santiago de Compostela: Universidad de Santiago de Compostela / FORTA. G Lowe & N Yamamoto (2016): Crossing Borders and Boundaries in Public Service Media. Goteburgo: Nordicom. GS Enli (2008): “Redefining Public Service Broadcasting: Multi-Platform Participation. Convergence”. The International Journal of Research into New Media Technologies, 14(1), pp. 105–120. H Jenkins & PH Lazcano (2008): Convergence culture. La cultura de la convergencia de los medios de comunicación. Barcelona: Paidós. H Van den Bulk (2008): “Can PSB stake its claim in a media world of digital convergence? The case of the flemish PSB management contract renewal from an international perspective”. Convergence, 14(3), pp. 329-343. JC Miguel, R Zallo & MA Casado (2017): “Las televisiones autonómicas públicas y privadas”, en Televisión Abierta. Situación actual y Tendencias de futuro de la TDT. Madrid: Colegio Oficial de Ingenieros de Telecomunicación. K Kaplanidou & C Vogt (2006): “A structural analysis of destination travel intentions as a function of web site features”. Journal of travel research, 45(2), pp. 204-216. K Meso & A Larrondo (2010): Cambios en las estrategias de las audiencias de las páginas web de televisión. Análisis de la participación en los entes públicos autonómicos en España. “II Congreso Internacional Comunicación 3.0”. Universidad de Salamanca, 4 y 5 de octubre de 2010. K Meso, I Agirreazkuenaga & A Larrondo (2015): Active audience and journalism. Analysis of the quality and regulation of the user generated contents. Bilbao: Universidad del País Vasco. L Anton & J Guallar (2014): “Análisis de los archivos audiovisuales en Internet de las televisiones autonómicas españolas”. Revista española de documentación científica, 37(1), p. 033. M Debrett (2009): “Riding the wave: public service television in the multiplatform era. Media”, Culture and Society, 31(5), pp. 807–827. M Ha & C Love (2005): “Exploring content and design factors associated with convention and visitors bureau web site development: An analysis of recognition by meeting planners. Journal of convention and event tourism, 7(1) pp. 43-59. M Roel (2010): “Desafíos de la televisión ante la consolidación del ecosistema digital”, Ámbitos. Revista Internacional de Comunicación, 19, pp.25-42. MT García Nieto, A Galán Ruiz Santa Quiteria & I García Castellanos (2015): “Televisión y redes sociales. ¿Oportunidad o amenaza?”. Telos: Cuadernos de comunicación e innovación, 102, pp. 37-44. P. Dahlgren (2007): Media and Civic Engagement: Citizens, Media and Communication. Nueva York: Cambridge University Press. P Gómez Domínguez (2016): “Era digital y televisión autonómica: un estudio comparativo de las plataformas web, aplicaciones móviles y redes sociales de TV3y BBC One”. Communication & Society, 29(4), 85-106. R Vinader Segura & E De la Cuadra de Colmenares (2012): “Televisión 2.0: las estrategias comunicativas en la Web social”. Estudios sobre el mensaje periodístico, 18, núm. Especial noviembre, pp. 909-918. S Karanasios & S Burgess (2008): “Tourism and Internet adoption: a developing world perspective”. International Journal of Tourism Research, 10(2), pp. 169-182. SM ChanOlmsted & LS Ha (2003): “Internet business models for broadcasters: How television stations perceive and integrate the Internet”. Journal of Broadcasting & Electronic Media, 47(4), pp. 597-616. T Mendiguren Galdospin (2010): “Análisis comparativo de las páginas web de las televisiones locales de la comarca del Gran Bilbao”. Zer: revista de estudios de comunicación, 15(29). Y Xin & Grandt, D. (2006). Developing a framework for measuring physical distribution service quality of multi-channel and “pure player” Internet retailers. International. Journal of Retail and Distribution Management, vol 34, nº 4/5, pp. 278-289. Cibersitio is a collection of linked websites and common to a domain or subdomain on the World Wide Web inside the Internet. Steemers, 2003; Van Dijck & Poell, 2014; Dondeers &Van den Bulck, 2014; Glowacki & Jackson, 2016), are cited in Campos (2016). It may be consulted at https://www.similarweb.com/. Article received on 25 November 2017. Accepted on 10 May. Published on 17 May 2018.